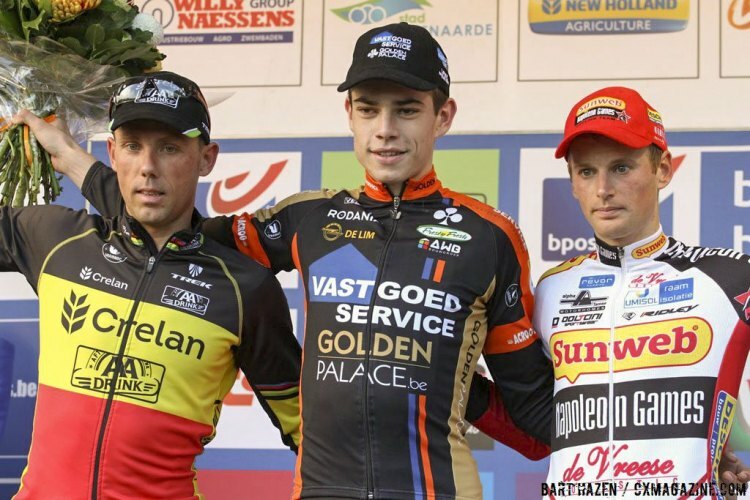 OUDENAARDE, Belgium — Wout Van Aert (Vastogoedservice – Golden Palace Cycling Team) edged out Sven Nys (Crelan – AA Drink Team) to take the win at the second race of the 2014 Bpost Bank-Trofee series, Koppenbergcross, in what came down to a battle between the old guard and the new. 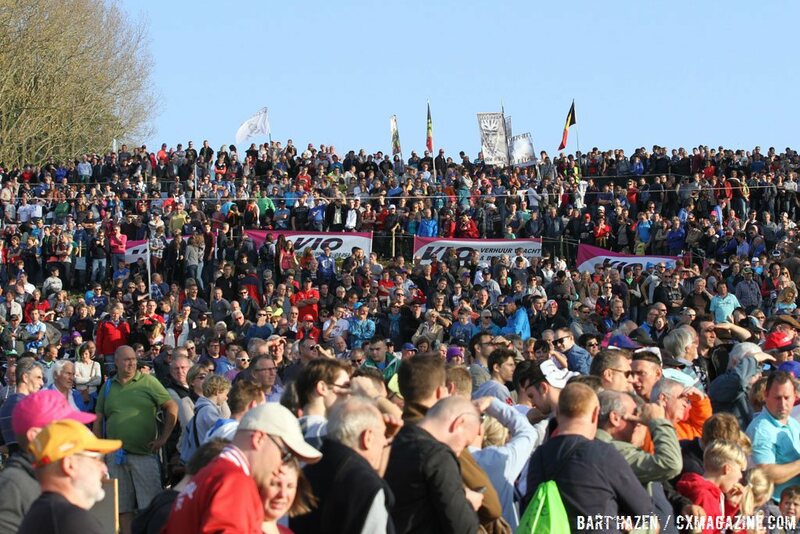 Midway through the race it seemed as though Kevin Pauwels (Sunweb – Napoleon Games Cycling Team) may take the victory as well timed move, just before the ascent of the famed Koppenberg gave him an advantage that stretched out to 14 seconds at its height. But with two laps to go Nys turned up the heat, coming from the third chase group, 19 seconds down, to pass Klaas Vantornout (Sunweb – Napoleon Games Cycling Team), picking up Van Aert on his way to catch Pauwels. 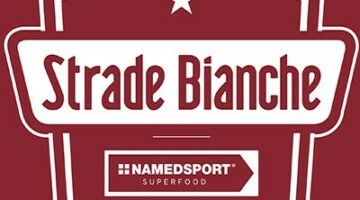 A select group of five including Pauwels, Van Aert, Nys, Vantornout and Tom Meeusen (Telenet Fidea Cycling Team), who had converged earlier in the race, came together briefly in the penultimate lap. Trailing just behind the leaders was Lars van der Haar (Giant Shimano Development Team), who led the race much of the first half before falling on an off-camber right-hand turn, dropping to the back of the lead group, eventually falling off the pace. Nys broke the group ties for the final time with a massive acceleration in the last lap. 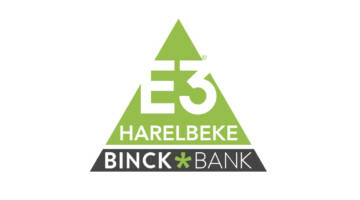 Only Van Aert had the strength to respond, and the two immediately gained a considerable advantage. Nys allowed Van Aert to take the lead in the last half of the final lap, biding his time for a final attack. 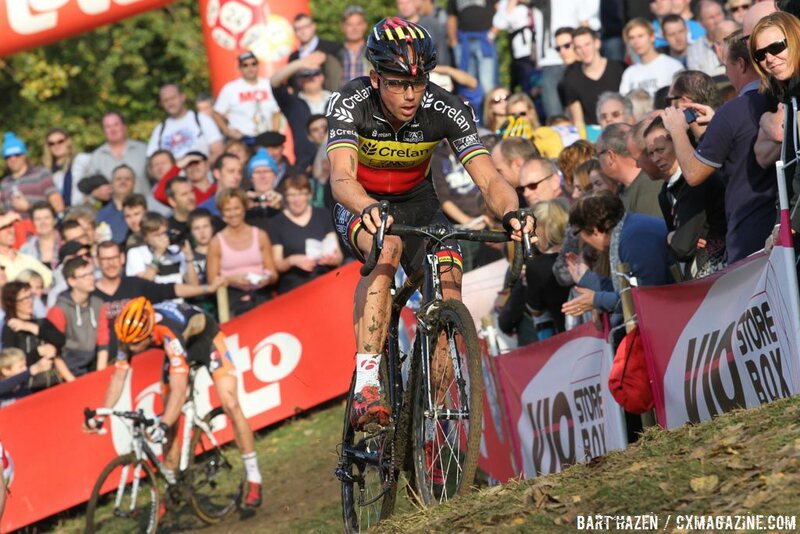 Van Aert kept the pace high, but kept looking back to make sure Nys didn’t attack. As the pair made their way through the final turns to the finish, and through a chicane leading to the tarmac, they encountered Denuwelaere, who tried to move out of the way but seemed to not be able to determine to which side the leaders were passing. It was not to Nys’ liking, as he apparently was unable to come around and open up his sprint, conceding the win with some emphatic gesturing. Pauwels held on for third, while Vantornout, Meeusen and van der Haar rounded out the top five positions. British racer Ian Field finished 15th, after leading the race for two laps last year and then puncturing. 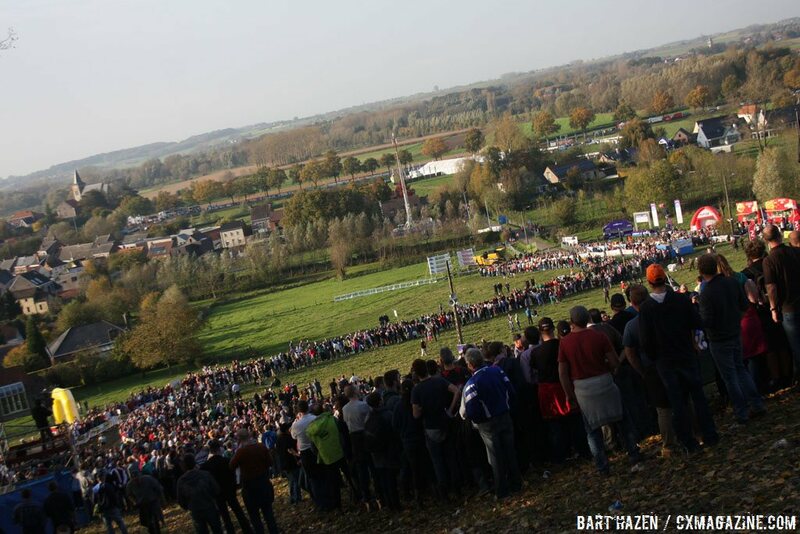 See the 2014 Koppenbergcross Women’s Race Report and Results, won by Sophie de Boer. 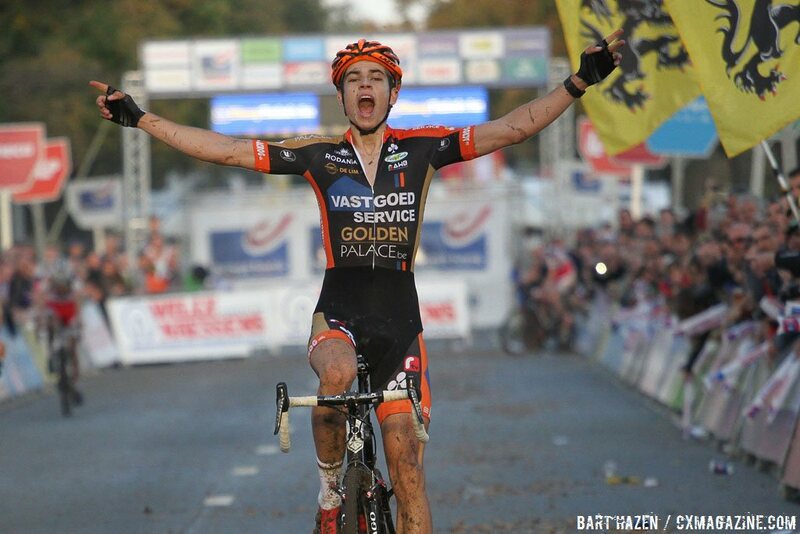 20-year-old Wout van Aert wins Koppenbergcross over Sven Nys and Kevin Pauwels. Woot woot!! Er, i mean Wout! 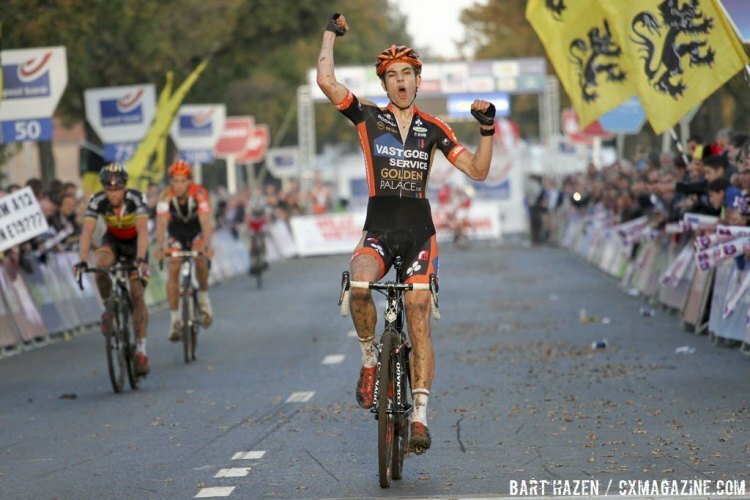 Wout! Wout was just faster in the sprint and clearly deserved to win! Great guy for the future! 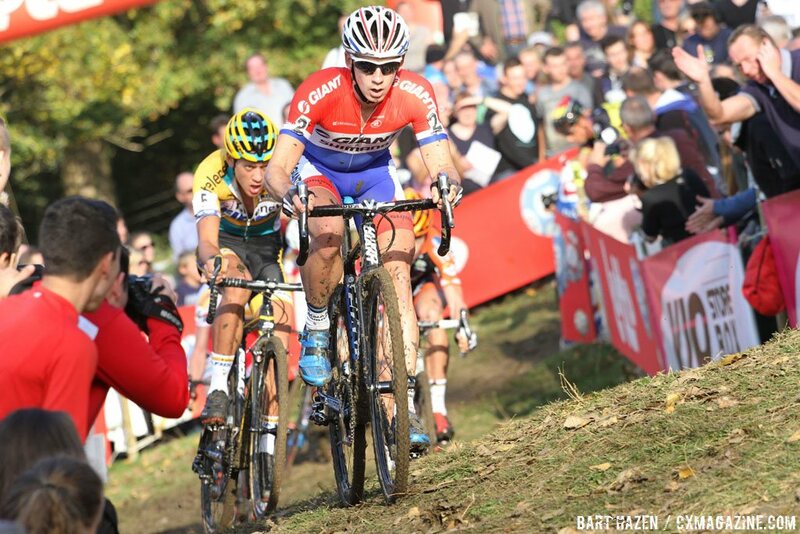 Van aert looked to be stronger but his teammate’s move was blatant and unnecessary. If you watch the race, he sees them approaching well before the finishing straight and rather than just getting out of the way, he jumps and puts himself right in the middle of things turning onto the finish. 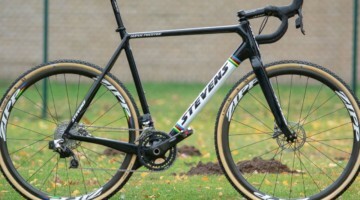 It’s a shame because it takes away from van aert’s great win. Great last 2 laps. When Sven decide it’s go time you’re in for a good show. Great win by Woot. It did not matter. Nys had stil the time and the place to overrule Wout. He simply was tired.